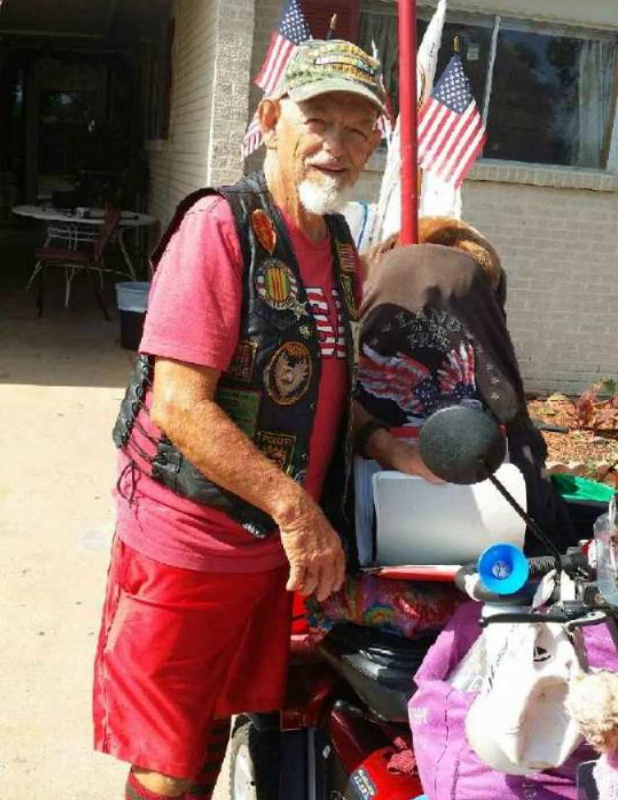 ST. GEORGE — After nearly three months of zooming alongside highways and backcountry roads on a rechargeable Pride Pursuit XL scooter, Vietnam War veteran Raymond M. Black, 71, embarked from Brownwood, Texas, Saturday afternoon to continue his journey that started in St. George towards destination Florida. Black has traveled more than 1,000 miles so far on his scooter, collecting donations to fund POWs and MIAs and help veterans in need nationwide. With a multitude of flags rising from his scooter, he aims to raise awareness about issues involving veterans as well. Even with such high mileage, Black has managed to only break down one time when he was just outside of Farmington, New Mexico. This journey has led Black to visit places in the United States he has never seen and allowed him to meet new people and build new friendships. Black said his experience has been so great that he is already planning future trips, including one in 2016 when he plans to travel along the West Coast, north on Highway 1, all the way to Canada. Ray is a great guy! I have had the chance to talk to him numerous times and he is just wonderful to be around. And, he is also quite the baker!! !